While I was cycletouring in the Nederlands last year I had someone in a bike shop install a new kickstand, longer, stronger and more effective than the previous one. He didn't put anything at all between frame and kickstand and must have tightened it very hard! The previous kickstand, also one legged, had been installed by myself, with some rubber between chainstay and kickstand and - I am sure of this - no ill effects. The bike is a good (Dawes Supergalaxy, possibly Reynolds 631), but old (year 2000) touring machine with thousands of loaded miles. I am now doing my winter maintenance and have removed the kickstand to find the chainstay crushed, see pictures. Underneath, the crush is obvious (looks worse in the picture) and there is even a tiny hole. The above section is literally paint damage. Am I right to think this the end of this bike? I happen to be building another touring bike at the moment but I was still planning to use this old friend for local trips and commuting. I guess now even this is not a good idea? Any advice welcome. The specific points of damage I'd really be worried about are the hard edged dents near the junction with the bottom bracket shell lugs (red rectangle in pic below). I think there is a high probability that cracks will form from those points. It certainly looks like cracks in the steel , which is bad. 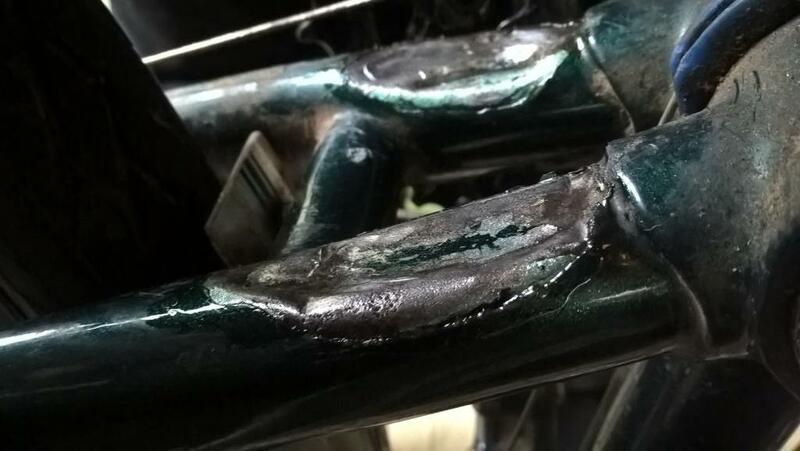 When you say a "good" bicycle, I think $ ; heat treated Cr : Mo steel that has been brazed into lugs.This construction is difficult to repair ; A bicyclist specialist shop may be able to do it but it world be expensive. 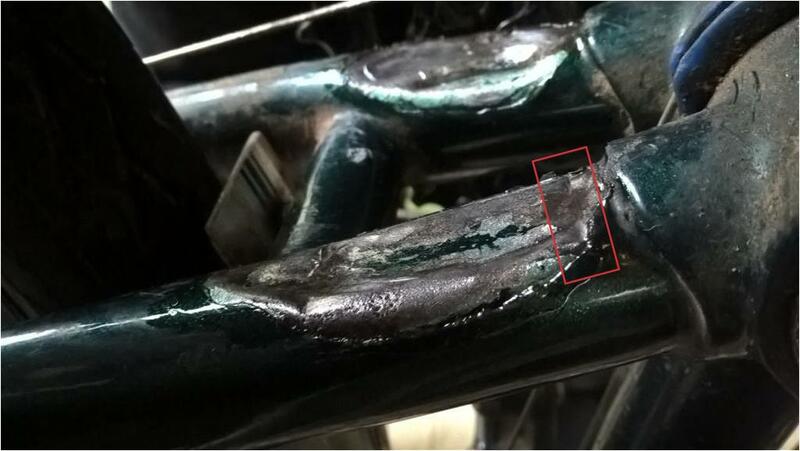 If the bicycle is not so good , welded plain steel , then almost any welding shop can fix it. Not the answer you're looking for? Browse other questions tagged touring-bikes kickstand or ask your own question. Items required in a World travelling bike? Where should I install the kickstand? Method to detach a kickstand bracket stuck to bike frame? Can my bike support a kickstand? How to remove this kickstand without destroying anything?